On 1 July 2016, a seminar on environmental and land rights scheduled to take place at the Municipal Council of Marrakech was banned by the Moroccan authorities. 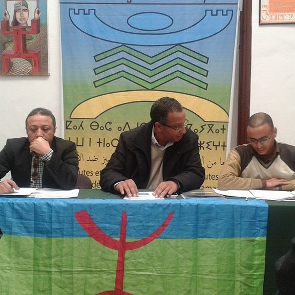 It was organised by Attac Maroc, the Moroccan Association for Human Rights, and Amazigh Citizenship Network. The Moroccan Association for Human Rights (Association Marocaine des Droits Humains – AMDH) works on promoting the culture of human rights through education and awareness-raising. It monitors human rights violations in Morocco and provides legal support for victims. It also works to ensure that Moroccan law complies with international human rights standards. The organisation reported that between July 2014 and May 2016, Moroccan authorities arbitrarily banned or disrupted 104 of its events, including conferences and sit-ins. On 1 July, as Morocco prepares to host the 7th annual Sustainable Innovation Forum at the 22nd Conference of the Parties to the UN Framework Convention on Climate Change (COP22), the authorities banned a seminar on environmental and land issues and challenges in Morocco, that was to be held at the Municipal Council of Marrakech. Attac Maroc – Marrakech Branch, AMDH – Mnara Branch, and Azetta – Marrakech Branch were informed by the authorities, upon their arrival to the venue, that the meeting could not convene, despite the fact that they had fulfilled all of the required conditions and administrative procedures for holding an event. A peaceful protest was held shortly after the ban before the Municipal Council. It was followed by a discussion with Imider movement, also called Movement On The Road '96, about the deteriorating land conditions in the village of Imider, where silver mining company Managem has reportedly damaged the land, polluted the environment and reduced access to potable water. The mine, which is owned by the royal family, is reported to use a quantity of water twelve times higher than the daily consumption of all the local community inhabitants. Imider Movement reports that the authorities have systematically attempted to weaken them and arbitrarily arrested several activists with groundless accusations. I express my concern at the banning of the seminar, which forms part of a pattern emerged in the last two years of disrupting events organised by human rights defenders and organisations in Morocco. 2. Guarantee in all circumstances that all human rights defenders in Morocco are able to carry out their legitimate human rights activities without fear of reprisals and free of all restrictions.